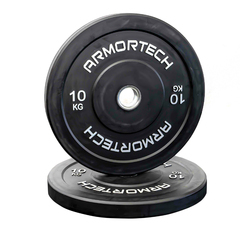 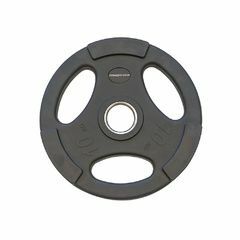 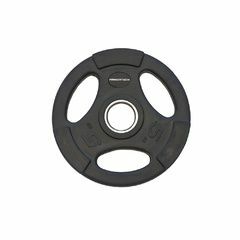 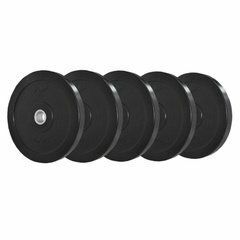 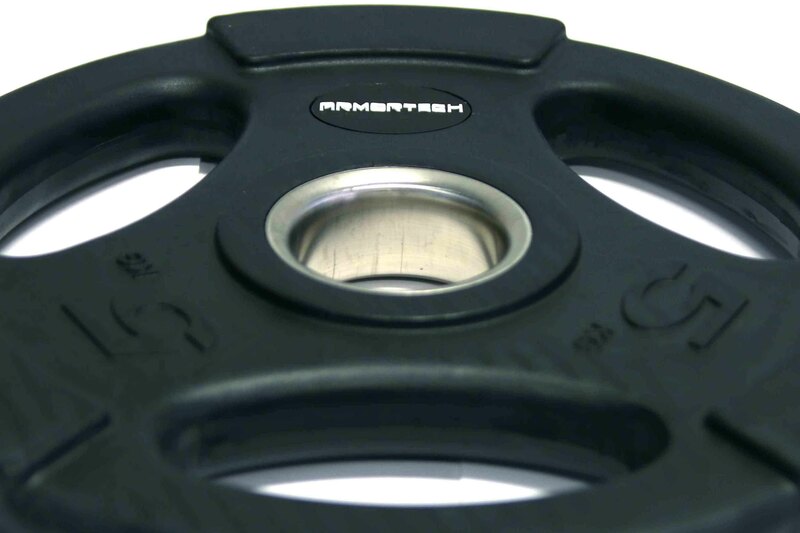 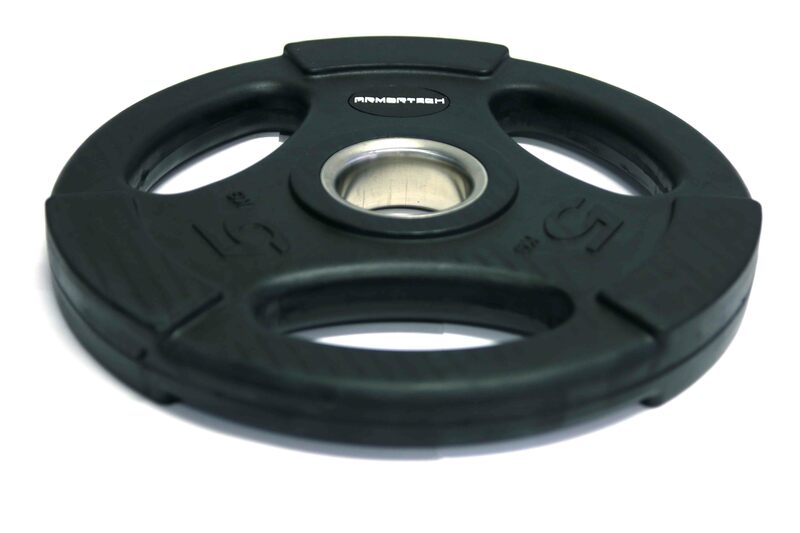 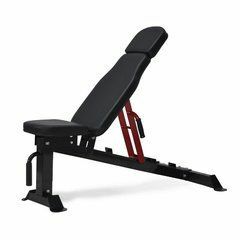 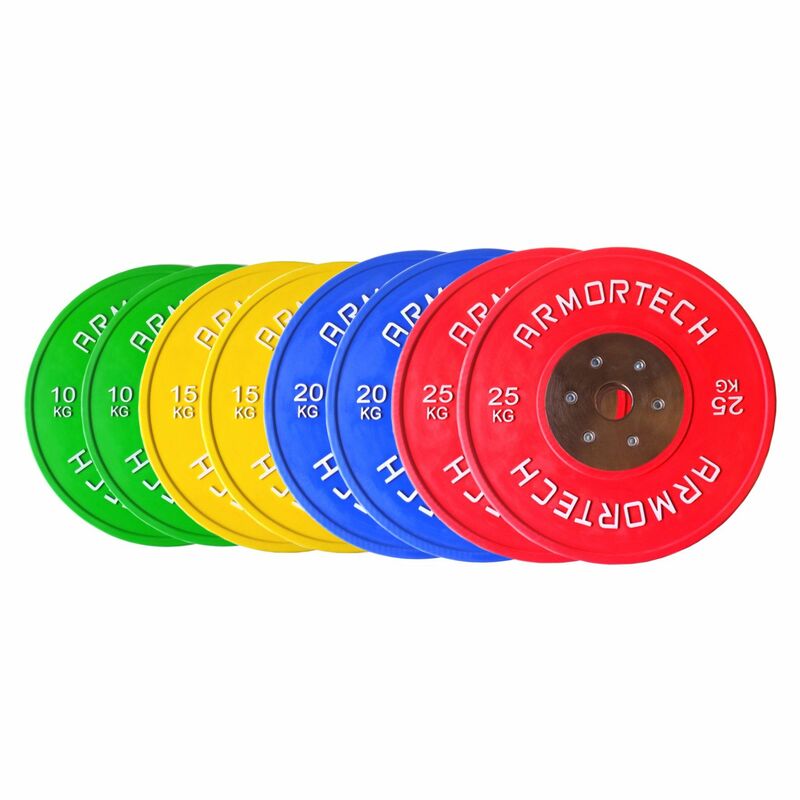 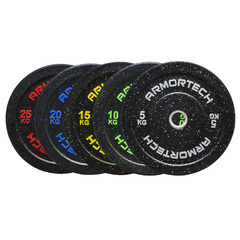 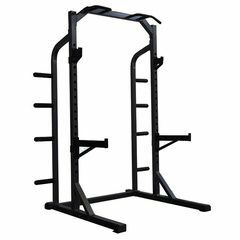 The Armortech Olympic Rubber Coated Plate, designed for both professional or home use, is a must for any gym. 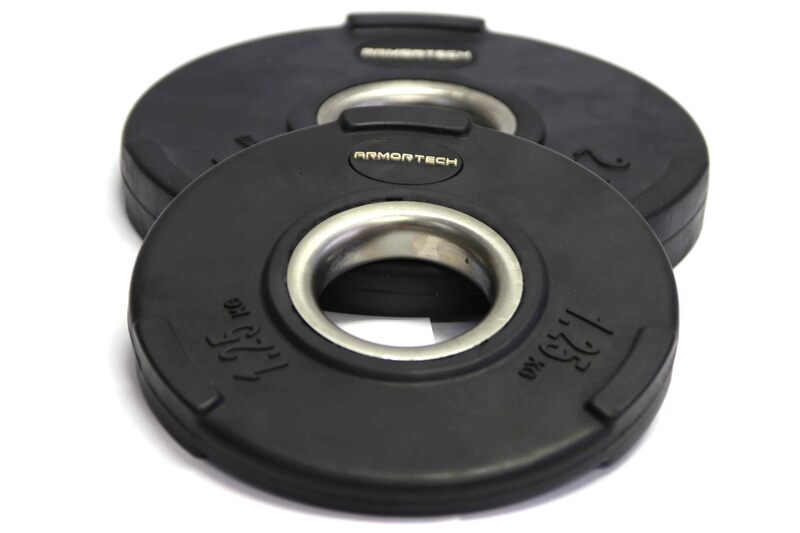 With a wide rim for ease of carry, the Amortech Olympic Rubber Coated 3 Holes Weight Plate are built of the finest materials and allow you to just focus on adding more to your bar. 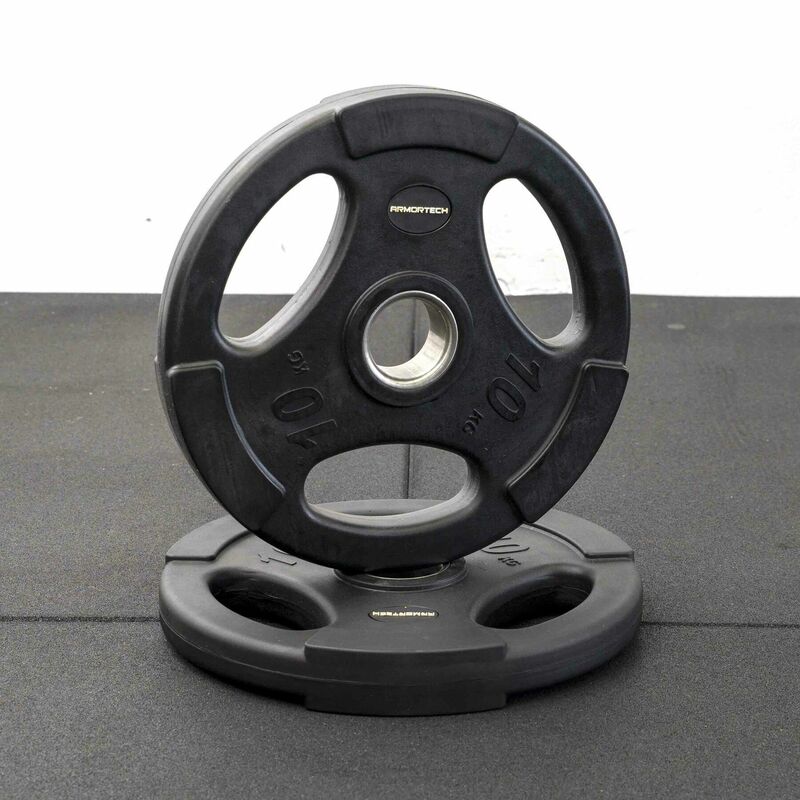 The Tri Grip plates are designed to make lifting and loading weights onto bars easier. 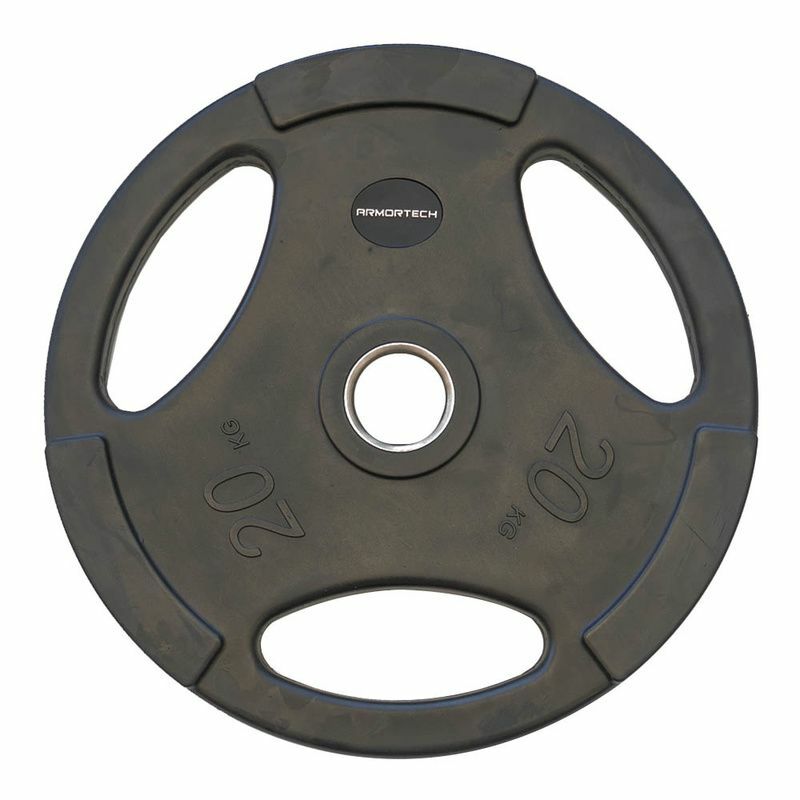 The rubber coating provides a more aesthetic finish than plain or painted cast iron finishes. 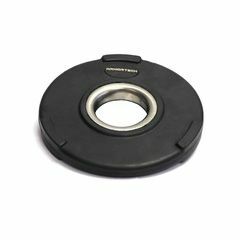 The rubber coating also protects against rust and reduces noise of discs "clanking" against each other - rubber also protects floor coverings. 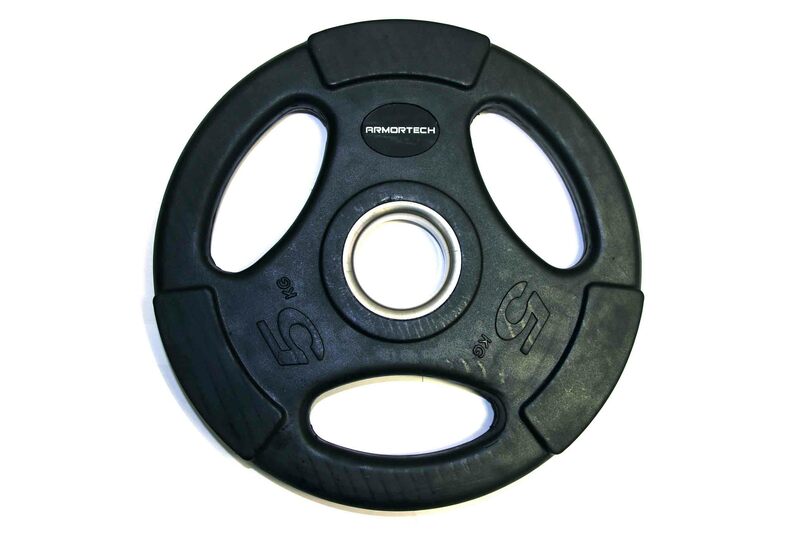 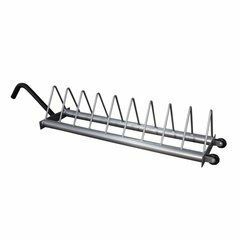 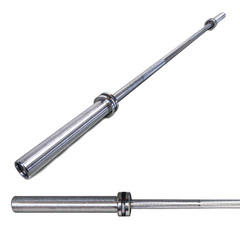 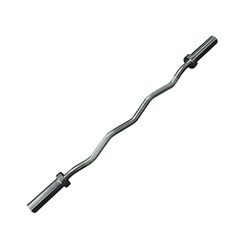 For use with all Olympic bars and plate loaded gyms and single station machines. 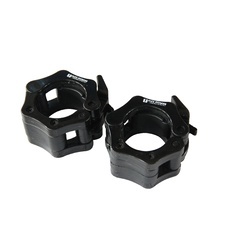 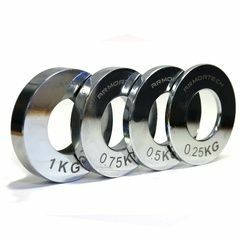 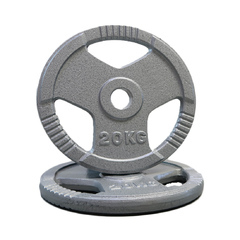 Weights perfect for all Bars with a 50mm Diameter. 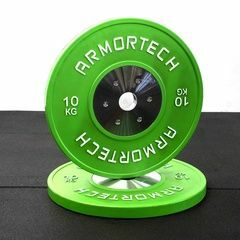 Available in sizes 1.25kg, 2.5kg, 5kg, 10kg, 20kg, 25kg. 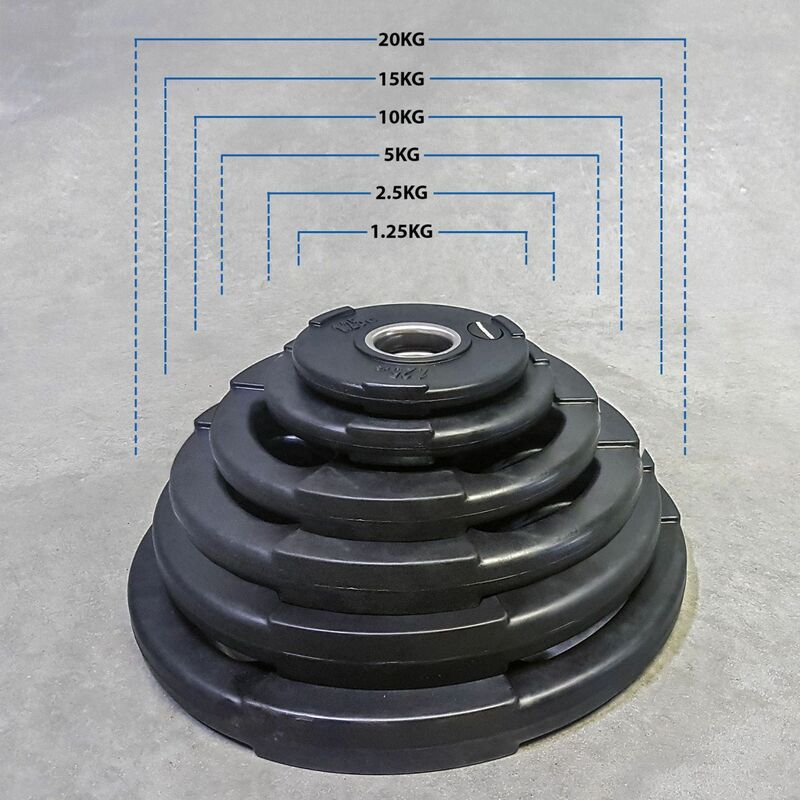 One-piece forged construction -The rubber coating on the plates protects both the plate and your floor from accidental dropping as well as adding extra grip when handling for safety.